Get the most from your ArcSight investment. 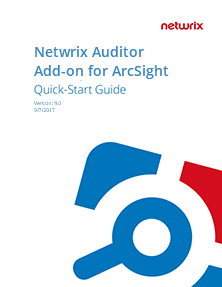 Integrate Netwrix Auditor with ArcSight through the RESTful API with this free add-on. 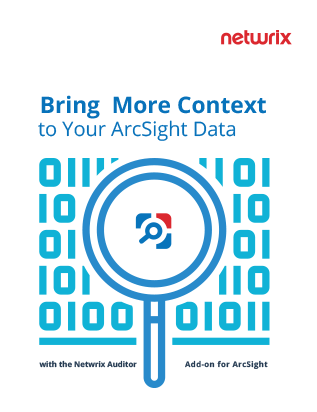 Enrich your ArcSight output data with actionable context in human-readable format, including the before and after values for every change and data access attempt, both failed and successful. AuditAssurance™ technology turns disparate arrays of logs into a single record. Then Netwrix Auditor feeds ArcSight with this granular data, reducing the volume of indexed data and making your SIEM more cost effective. Review detailed instructions for installing the Add-on for ArcSight. Start getting complete visibility into changes and data access throughout your ArcSight environment.